Apple has opened a second AppleCare repairs warehouse in the United States. 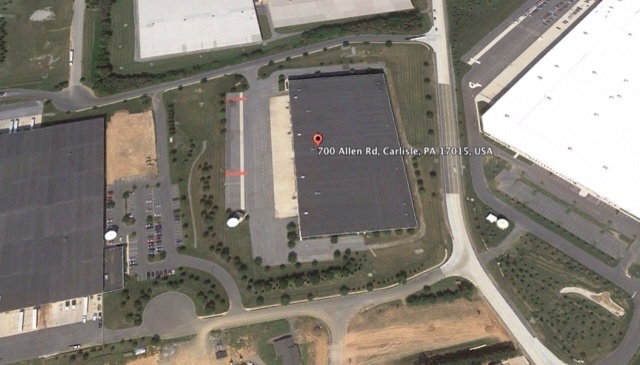 The new center is located in Carlisle, Pennsylvania and is just under 200,000 sq ft in size with an additional 2500 sq ft of office space, reports 9to5Mac. Apple will use this facility to conduct repairs and replacements and to manage, package, and ship repaired Apple devices to both customer’s homes and Apple Store Genius Bars across the country. When an Apple customer of a Mac computer, for example, needs aspects of their device replaced and fixed, their product is typically shipped to a similar warehouse in Elk Grove, California. The new facility is Apple's first major repair center expansion in the United States and the company's first AppleCare presence on the East Coast. There are smaller repair centers in Texas and Memphis; however, this is a large facility dedicated for repairs. Apple will now ship devices that need fixing to the closest facility. This may improve repair times and reduce shipping costs for the company.